Do you have updated data? NEW! 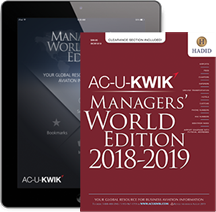 2018-2019 Managers’ World Edition now available to order - in print and digital eBook!